Cyril Ralph Hill was born in Simpson in late 1898 (the April 1901 Census shows his age as two) one of at least eight children of John and Lucy Hill. Somewhere prior 1915 he emigrated to Canada, where he worked as a box maker and lived with his sister Mrs. Violet Rollings and her family at 48 Sully Crescent, Toronto. 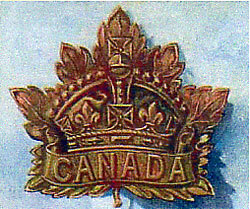 It was in Toronto on 10 August 1915, that Cyril joined the 92nd Overseas Battalion, Highlanders, Canadian Expeditionary Force. From the records available in this country, such as the 1901 Census, this would have made him two months short of his seventeenth birthday, and too young to join up. However, on his attestation paper he gave his date of birth as 5 October 1896, thus making him two months short of his nineteenth birthday and well past the age restriction of eighteen. This would indicate that Cyril was one of those young men, who, desperate not to miss the chance of seeing action, lied about their date of birth when joining up. Cyril, would then have undergone a period of training before he embarked on the ‘Empress Of Britain’ on 20 May 1916, at Halifax, Nova Scotia, disembarking in England nine days later. In August, just a year after enlisting, he was transferred to the 42nd Battalion, Quebec Regiment, and landed in France. The regimental history records the following details for the period immediately before Cyril’s death: the unit returned to the trenches from a rest period on 5 October; on 7 October they were relieved and moved back into brigade reserve, only to be called up again on 8 October; during the first period (5 to 7 October) a recce party was moving forward to liaise with 43 Battalion HQ, when a direct hit caused numerous casualties; once the unit was in their position a sharp bombing attack occurred on their post at Kenora Trench; the attack was repulsed but again they had numerous casualties, finally, on 8 October, having been recalled to the front, they again suffered casualties. As is usually the case in these histories, while the officers might be mentioned by name, the rank and file are not. Consequently, it is impossible to say in which of these actions Cyril received the wounds that were to prove fatal. The only thing that is certain is that he was evacuated to the 2/1st South Midland Casualty Clearing Station where he passed away on 9 October. 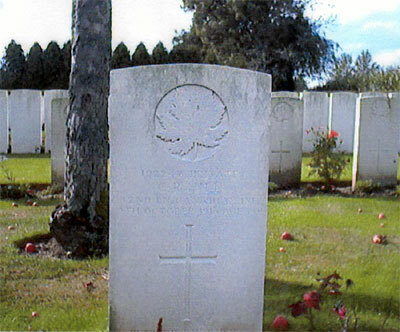 Cyril is buried in the Communal Cemetery Extension in the village of Warloy-Baillon. The village stands on the D919, about 21 kilometers northeast of Amiens, and the cemetery stands on the east side of the village. 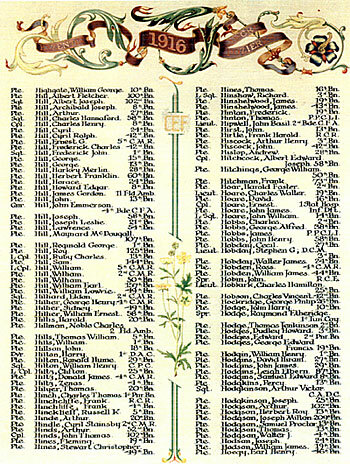 The first Commonwealth casualties to be buried in the village were interred in the communal cemetery between October 1915 and 1 July 1916. Following the attack on the German front line some eight kilometers away on 1 July, the extension was begun on the eastern side of the cemetery. Most of burials contained therein are from the period July to November 1916, although there are also some from Germany’s spring 1918 attack.